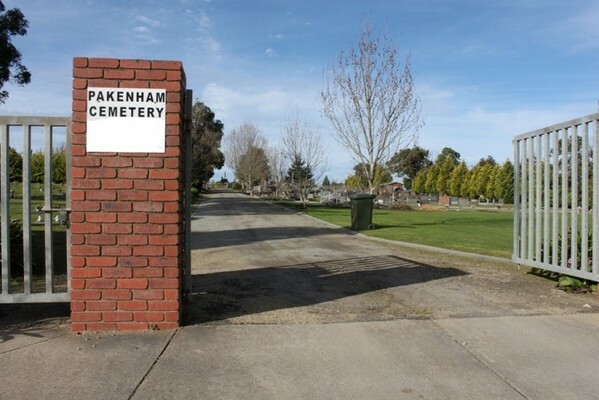 A bereaved family are demanding answers from a Pakenham cemetery, after a 70-year-old woman was buried next to their daughter in a ‘babies-only’ section. When John and Kate Edwards lost their daughter Paisley, the couple made the decision to bury her at a special babies’ area at the Pakenham Cemetery Trust. Called ‘The Garden of Unfilled Dreams’ and located in the southeast corner of the cemetery, the area is set aside for the burial of babies which is marked by a plaque placed by the Cemetery Trust and the Bonnie Babes Foundation to remember babies lost from miscarriage, stillbirth or prematurity. John discovered the elderly woman had been buried next to their daughter during one of his weekly visits to the cemetery in September last year. Horrified, the O’Brien Real Estate Director contacted cemetery staff straight away, but it would be a long wait before he received a reply. When they eventually did, he was told it was a previous employee’s error and that nothing could be done. “It’s been an ongoing saga – I sent them an email back in September and have been chasing them since then,” John said. The baffled dad, who only recently moved to Drouin from Pakenham and who is a business owner in Pakenham, wants current and future parents to know that the garden is no longer an exclusive site for children. “If we knew adults were there we would never have put her there,” he said. “It’s very hard to have these conversations because as a parent you’re meant to go first; we have to try and find peace with what’s happened and get on with life. “Our little piece of hope was knowing that she was with other children. It’s not the first time the Pakenham Cemetery Trust has come under scrutiny; last year the Trust was in hot water after banning all decorations on gravestones, just two weeks out from Christmas. Another Pakenham family claimed their loved one was buried in the wrong plot – both instances which they declined to comment on at the time. “It’s the Trust’s job to protect the cemetery from things like this happening – that’s why the Trust is in place. If they can’t manage that, then perhaps there’s a bigger issue in the Trust,” John said.